Thanksgiving- the grand Holiday-of-Food-and-Family- is pretty much one of the best days of the year. 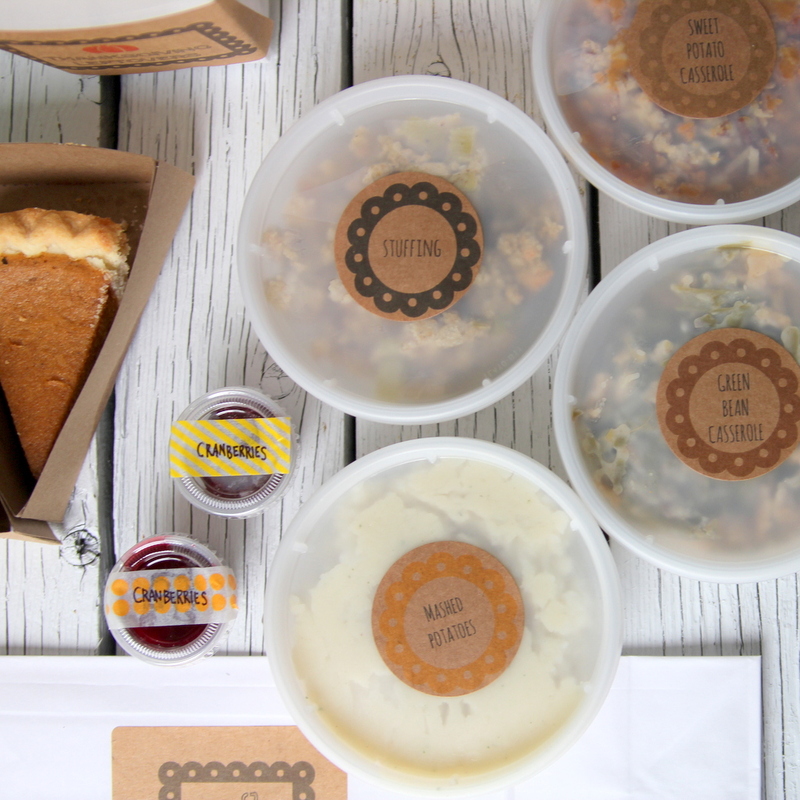 Family and friends paired with pie, turkey, sweet potato casserole and more pie is kind of an unbeatable combo. Unless, that is, you figure out a way to extend the goodness of Thanksgiving past Thursday evening. 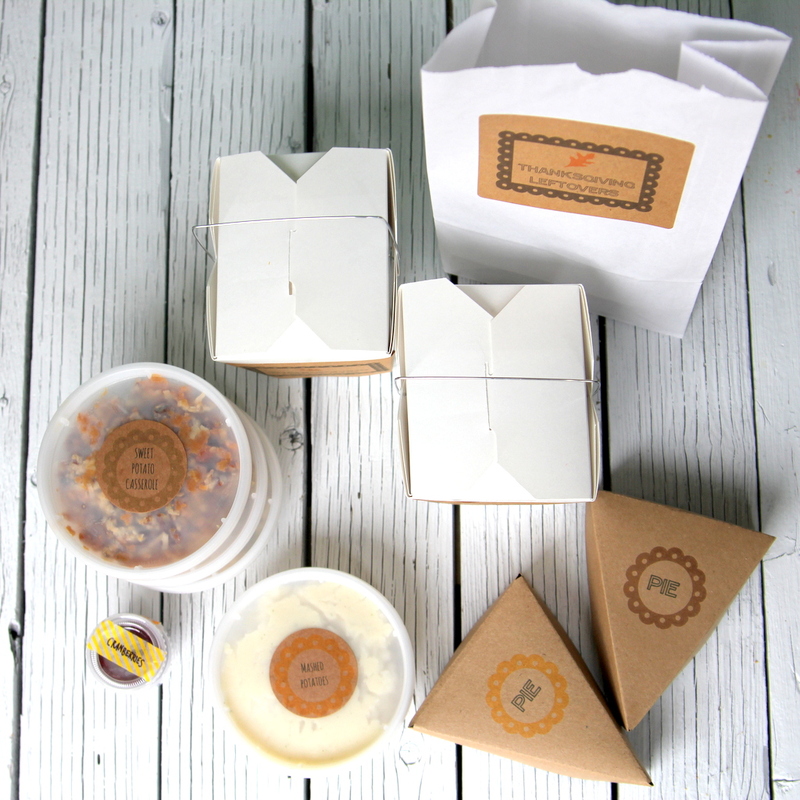 Yes, I am suggesting a Thanksgiving Leftover Station filled with takeout boxes, packaging goodies, and bags for your guests to package and take home the year’s yummiest leftovers. Add in yummy bread for turkey sandwich making, all of the leftover Thanksgiving goodness, and food labels (printed labels for the large takeout containers and washi-tape labels for the sauce-sized takeout cups) and your Leftover Station is complete. Since Thanksgiving is one of my favorite days of the year, I am usually a little sad when the day wraps up. This leftover station, though, just might do the trick to cheer me up (especially because I love, and I mean really lo-ove, Thanksgiving leftovers!). 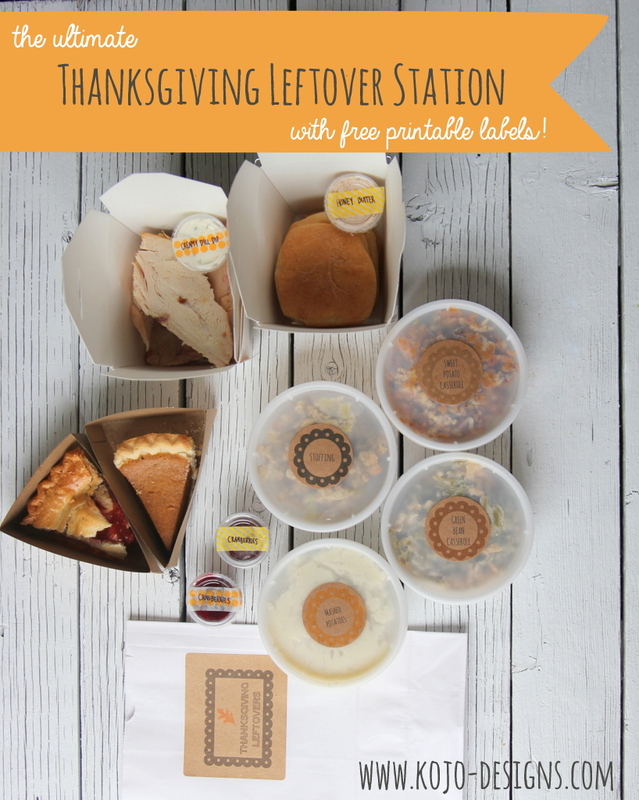 Even better, since your Thanksgiving probably needs a Leftover Station as well, the thanksgiving leftover printable labels are here (I included some ‘classics’ like turkey, stuffing, mashed potatoes, green bean casserole, sweet potato casserole and cranberries, and also a page of blank labels so you can add your own menu items). ps- Just to keep things real- I thought of this leftover station laying in bed one night last week (that’s when my best thinking happens). 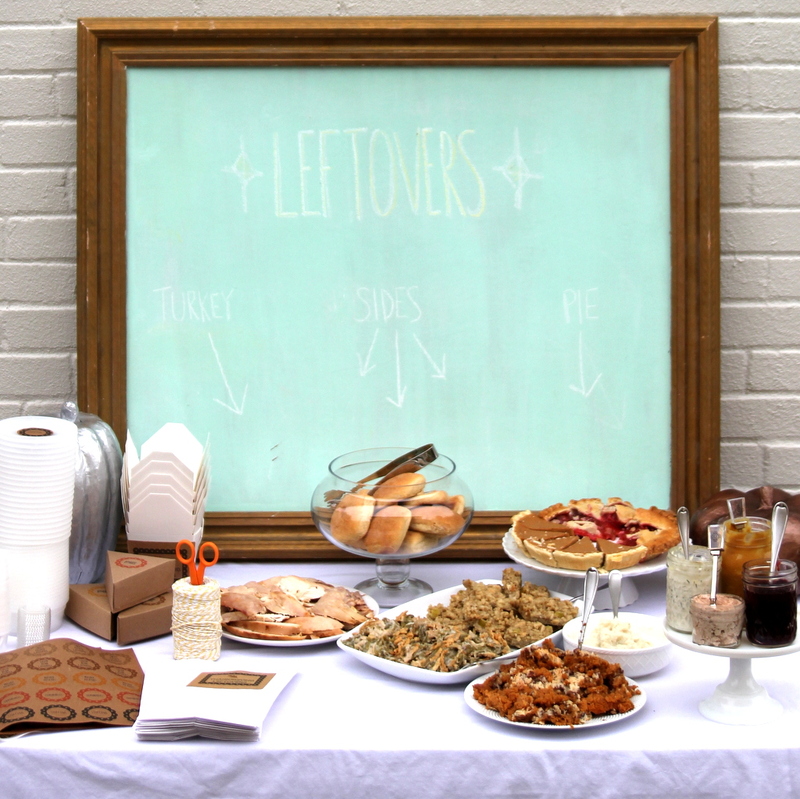 I couldn’t wait for actual Thanksgiving in a few weeks and still get y’all the printables in time for your own leftover stations, so we had a pre-Thanksgiving (dubbed ‘blogsgiving’ by Jordan) this weekend. Oh the life of a blogger. I’m interested to hear Burke and Pi tell their friends about this stuff as they get older- haha! You are hysterical! However, as someone who shares your love of Thanksgiving, I think this is a FANTASTIC idea. Super creative and I love the printables (as usual). this is perfect. and amazing. and I want to do this. the end. Ha, thanks buddy! Can’t wait for Round 2 in a few weeks! I, for one, am thankful for blogsgiving because it turned out to be twice the thanksgiving this year. (Actually 4 times, if you count leftovers. Which CLEARLY, we did). It was so fun to eat them last night-felt like thanksgiving take out. What a fabulous idea! I’m doing a mini thanksgiving tonight, and I can’t wait to give these a try! Did you ever get around to trying the pumpkin biscuits? I’m dying to hear what you thought! This is SO so genius! And my kids are so well “trained” that they ask if I have taken pictures before they eat any cookies, cake, etc. We are hosting Thanksgiving this year and I would love to do this. Where did you get the containers? 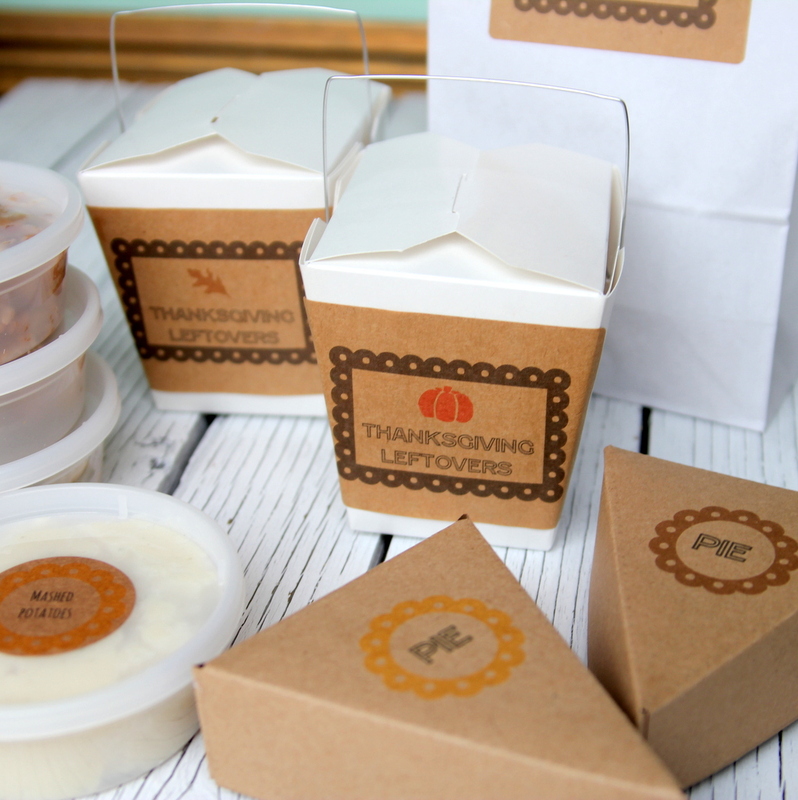 Hey Jill, I got all of the containers on Amazon- I got 1 oz sauce cups, medium sized freezable soup containers (16 oz I believe) and Chinese Take Out boxes. 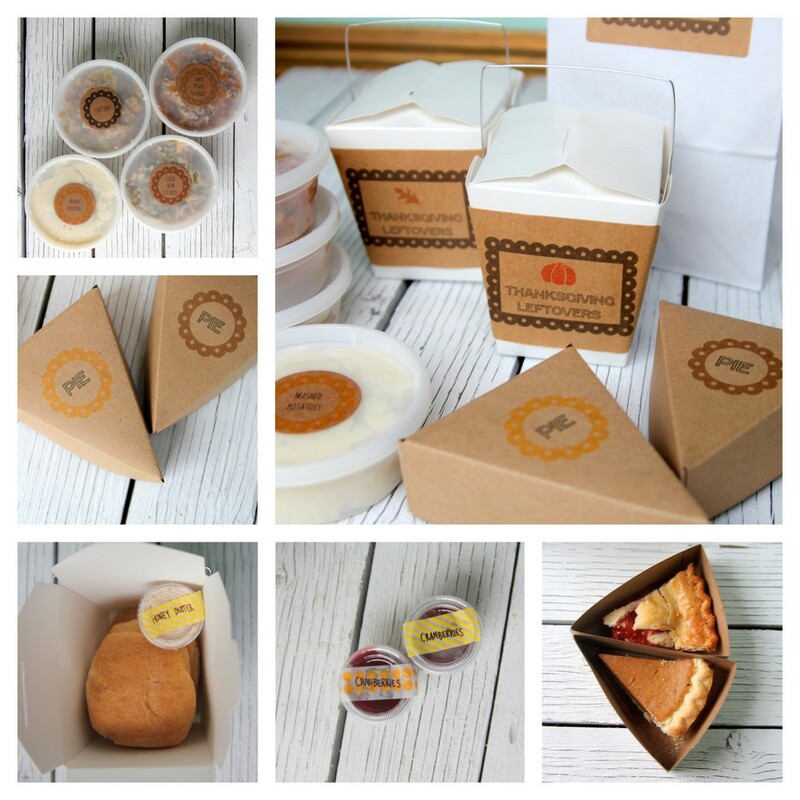 I made the pie boxes- I’ll be sharing the free printable template for those soon. Hope that helps! This is all soooooo cute and creative I cant wait to do it myself! I was just wondering if you posted the pie box template yet? I may have missed this, but what type of label paper did you print the labels on? Courtney, I had some round kraft paper labels on hand (12 per page, but they don’t have a brand or a template number on them). All of the white labels I just printed onto full page label paper (also, had it on hand, plus it seemed easiest). Love this idea! 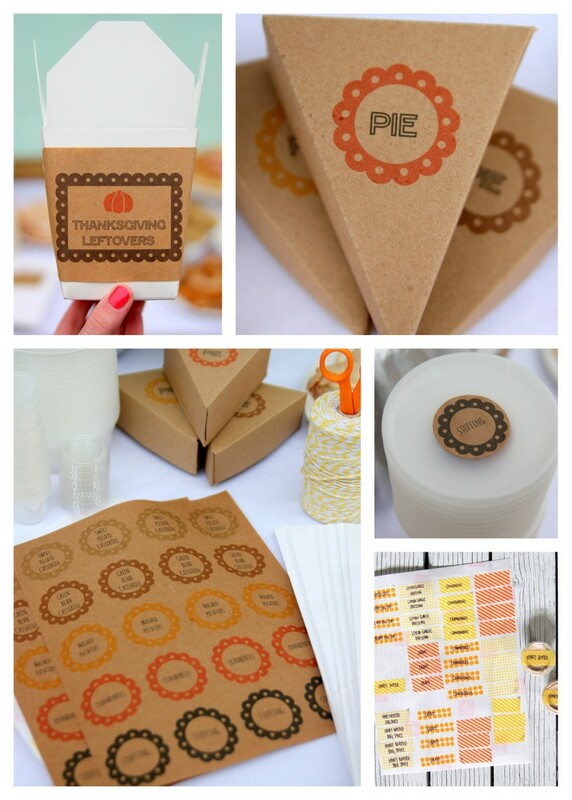 Can’t wait to see your pie container template 🙂 super idea! 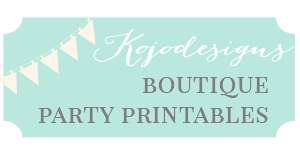 I cannot figure out how to print the thanksgiving printable. What am I doing wrong? Thanks for such a cute idea. Sure- just hold your mouse over the words ‘thanksgiving leftover station printable are here.’ It should show that link- click on it and print. 🙂 Hope that helps!